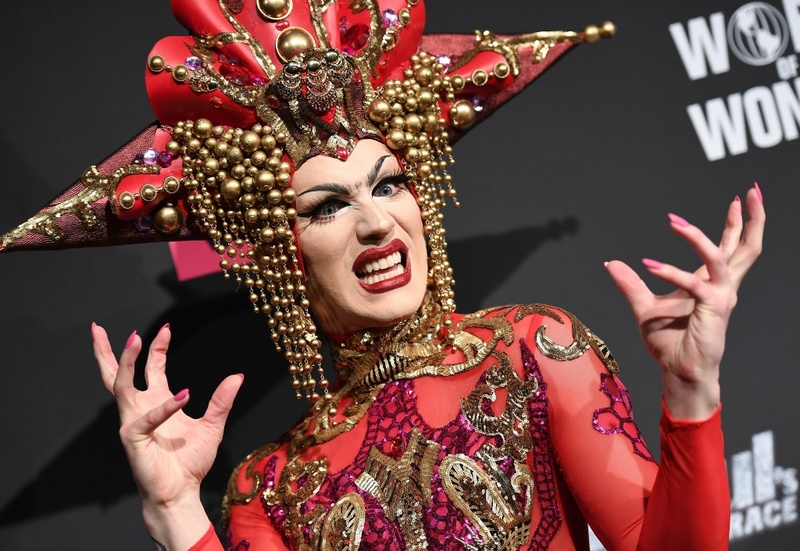 Contestant Sasha Velour attends the season premiere party for "RuPaul's Drag Race" on March 7, 2017 in New York City. We won't bore you with a list of expensive, prix fixe brunches. There are a lot of ways to celebrate Mother's Day weekend in Southern California, regardless of how close you are — or aren't — to your bio-family. How about a sunset yoga class, an artisan craft fair, a lesson on facial contouring, a fab new musical or a fried chicken fiesta? Attendees take pictures during RuPaul's DragCon at the Los Angeles Convention Center on April 30, 2017. 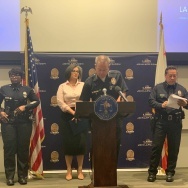 WHERE: Los Angeles Convention Center — 1201 S. Figueroa St., downtown L.A.
Gurrrrrl, "RuPaul's Drag Race" isn't just a show. 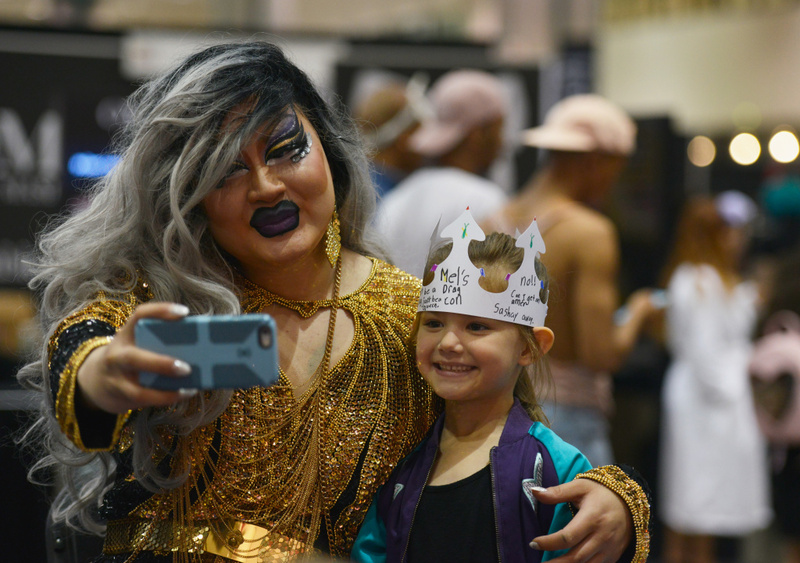 It's a pop culture juggernaut that has spawned a three-day extravaganza of performances, panel discussions, runway battles and vendors selling everything from eyelash glue to hip pads. Meet your favorite "Drag Race" contestants, including Aja, Asia O'Hara, BenDeLaCreme, Eureka, Jinkx Monsoon, Latrice Royale, Miz Cracker, Monique Heart and Shangela. Original drag superstar RuPaul presides over the confab along with her BFF Michelle Visage. No, you can't just click your heels and say "Miss Vanjie" three times to get in. A "Yoga in the Sky" class at OUE Skyspace LA. WHEN: Friday, May 11; 7:30 p.m. - 2 a.m.
WHERE: OUE Skyspace LA — 633 W. 5th St., downtown L.A. 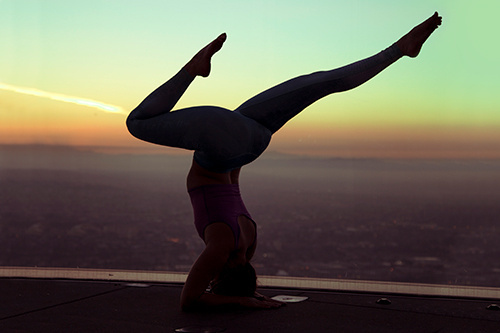 The party starts with a sunset yoga class at the top of L.A.'s tallest building. That's followed by DJ sets from Marques Wyatt and Jeremy Sole. You'll dance, take a trip down the glass "Skyslide" and peruse digital art and photography — all while perched 1,000 feet above the city. 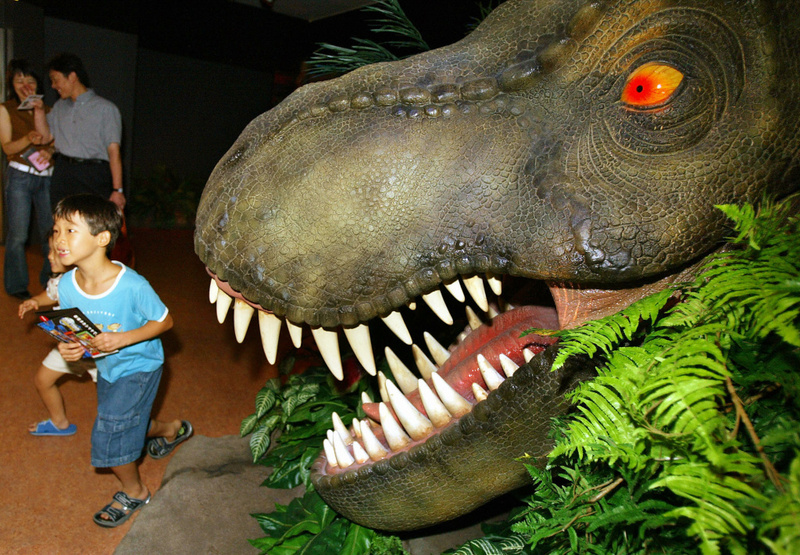 Children run away from a dinosaur at a "Jurassic Park: The Ride" display set up in a Tokyo department store on August 11, 2004 to promote Universal Studios Japan. To celebrate a quarter century of bringing fictional dinosaurs back to life, Universal Studios hosts special exhibits, immersive photo ops, a fan costume show, guest appearances and, for this event only, an all-new raptor encounter. Plus, there's a private screening of "Jurassic Park" on the big screen at Universal Cinema on CityWalk. Russian River Brewing Company customers clink their glasses while drinking the newly released Pliny the Younger triple IPA beer on February 7, 2014 in Santa Rosa, California. 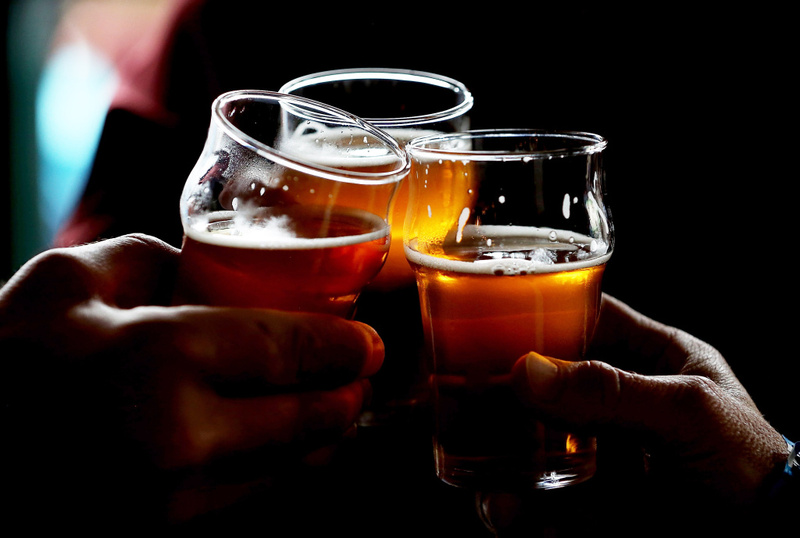 WHEN: Saturday, May 12; 6 - 10:30 p.m.
WHERE: 5251 E. Beverly Blvd., East L.A.
At what may be the largest gathering of Latino home brewers at a single event, 20 beer maestros will serve their hand crafted brews, representing an array of styles including Belgian-style saisons, golden stouts, Vienna lagers, hefeweizens, witbiers and, of course, IPAs. A lineup of food vendors will dish out brisket tacos, pupusas, empanadas and vegan food. A shopper at Unique LA. WHEN: Saturday, May 12 - Sunday, May 13; 10 a.m. - 5 p.m.
WHERE: California Market Center — 110 East 9th St., 13th Floor, downtown L.A. Discover housewares, clothes, art, jewelry, kids items, stationary, food and pottery from 250 independent designers and emerging brands. Get your portrait taken by Oh! 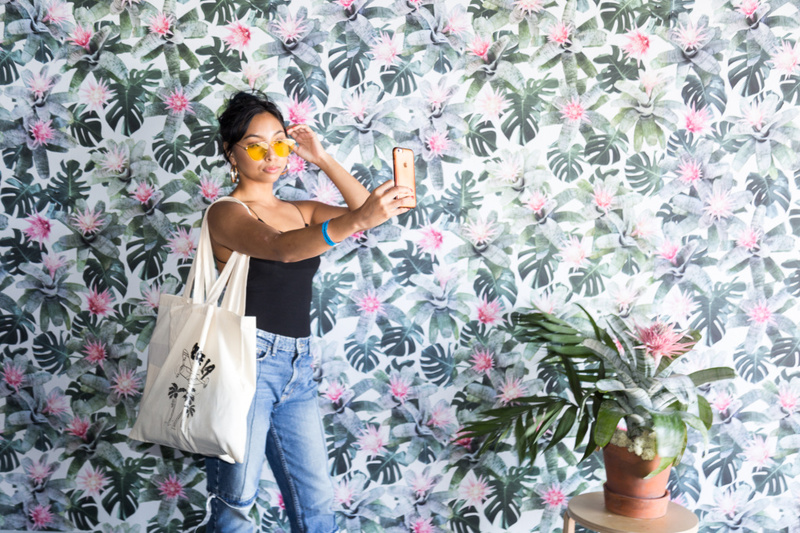 Snap Studios, make DIY floral crowns and check out interactive art installations by L.A. artists. 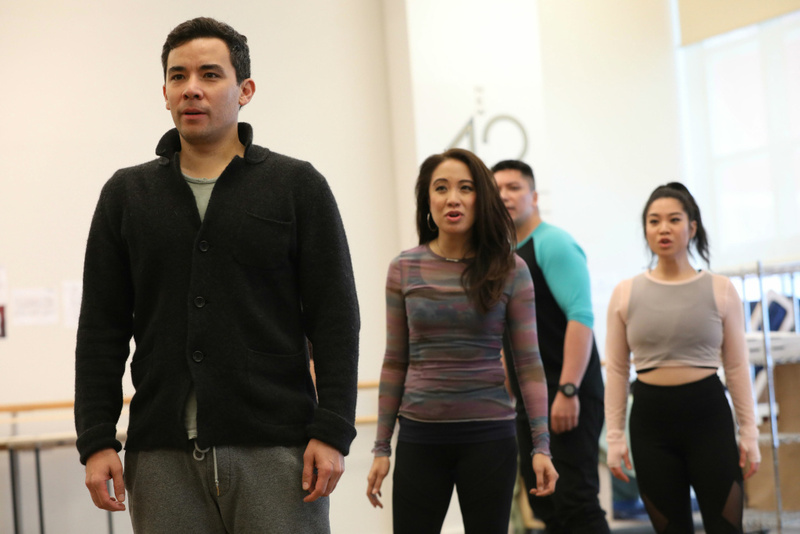 Cast members (left to right) Conrad Ricamora, Jaygee Macapugay, Jon Hoche and Geena Quintos rehearse for the world premiere of David Henry Hwang and Jeanine Tesori’s "Soft Power" at Center Theatre Group/Ahmanson Theatre. WHERE: Ahmanson Theatre — 135 N. Grand Ave., downtown L.A.
A new musical, written by David Henry Hwang with music by composer Jeanine Tesori, mixes comedy and drama as it explores East-West relations and cultural appropriation. The story follows a Chinese executive who visits America and falls in love, just as the power balance between the two countries shifts in the wake of the 2016 presidential election. And it's a world premiere. 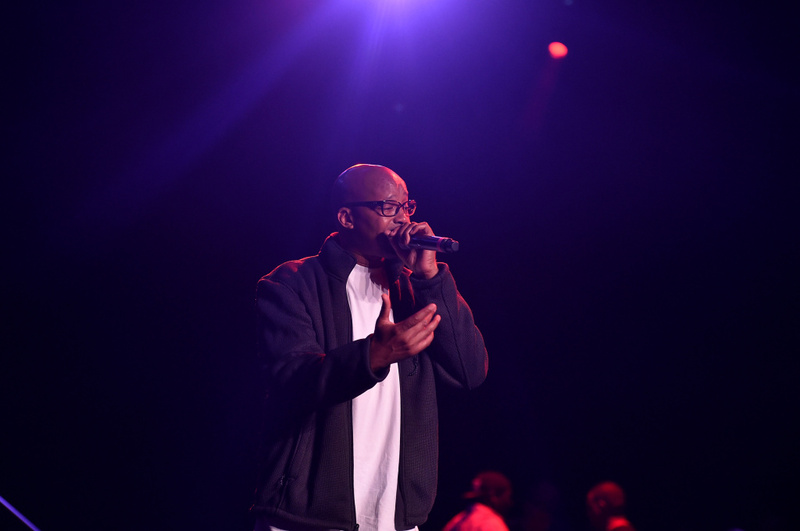 Rapper Warren G performs on stage at the premiere of "G-Funk" during the 2017 Los Angeles Film Festival at The Theater at Ace Hotel on June 16, 2017 in Hollywood, California. 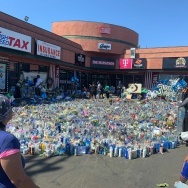 WHEN: Saturday, May 12; noon - 7 p.m.
WHERE: Nate Holden Performing Arts Center — 4708 W. Washington Blvd., mid-city L.A.
Warren G will headline a neighborhood festival along with DJ Battlecat and the G-Funk All-Stars. Art, vendors, food trucks and kids face painting round out the festivities. Chef Ludo Lefebvre's fried chicken sandwich at the grand opening of LudoBird at Universal CityWalk on March 26, 2016 in Universal City, California. 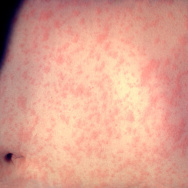 WHEN: Saturday, May 12; noon - 4:30 p.m. 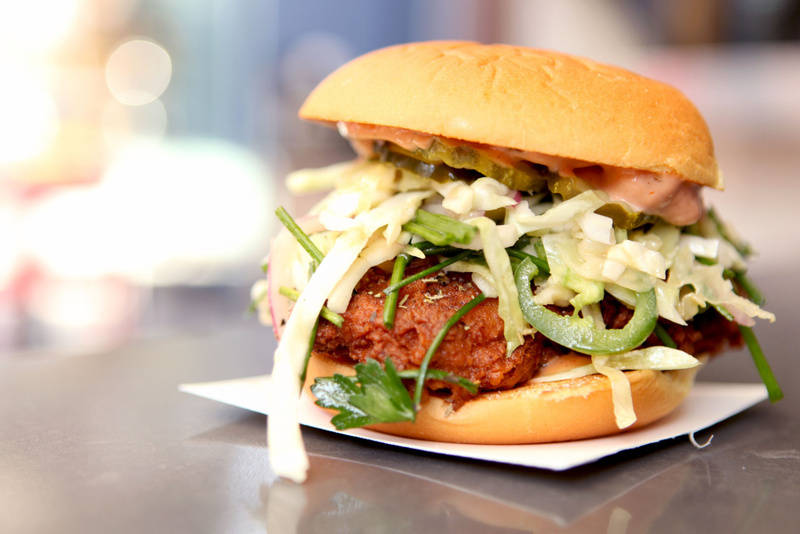 Sample fried chicken from a bunch of vendors chosen by the folks who put on Smorgasburg L.A., the outdoor food market that happens every Sunday in downtown L.A. You'll get to try birds cooked by Bahn Oui, Baohaus, Bolo and Hot Star while sipping craft beer. 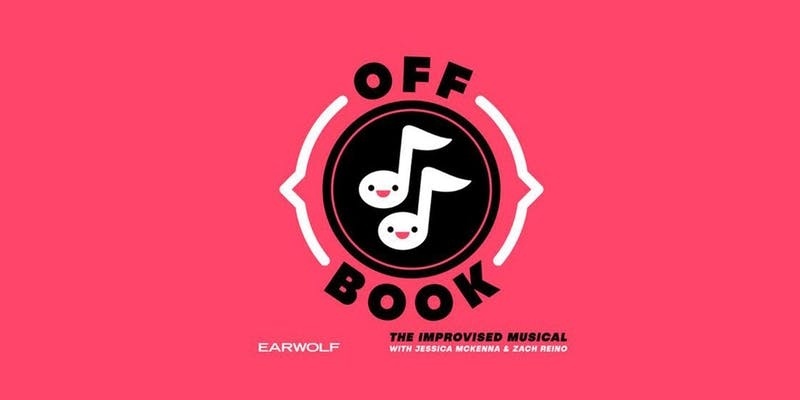 WHEN: Friday, May 11; 8 p.m.
Every week, Jessica McKenna and Zach Reino sit down with a guest and record a completely improvised musical for their "Off Book" podcast. This week, they're doing it live. Guests Nicole Byer and John Gemberling will be accompanied by Scott Passarella on the keyboard. 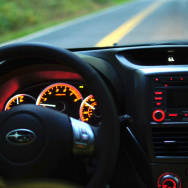 Why should music be professional — or even thought out at all? 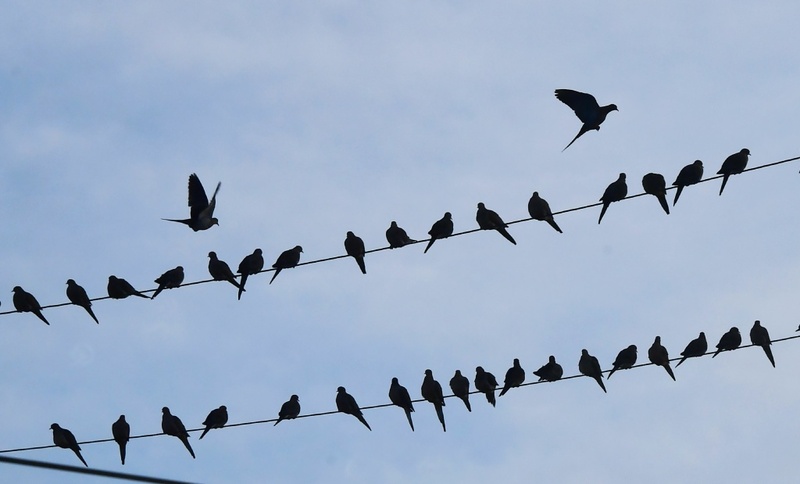 Birds perch on electric wires in Los Angeles, California on December 10, 2017. Biodiversity abounds, even in the most urban settings. Celebrate our avian friends with nature walks, garden tours and bird-watching expeditions. Don't have binoculars or any experience birding? Don't worry. Audubon California has you covered. Check out all the events, many of which are kid-friendly. 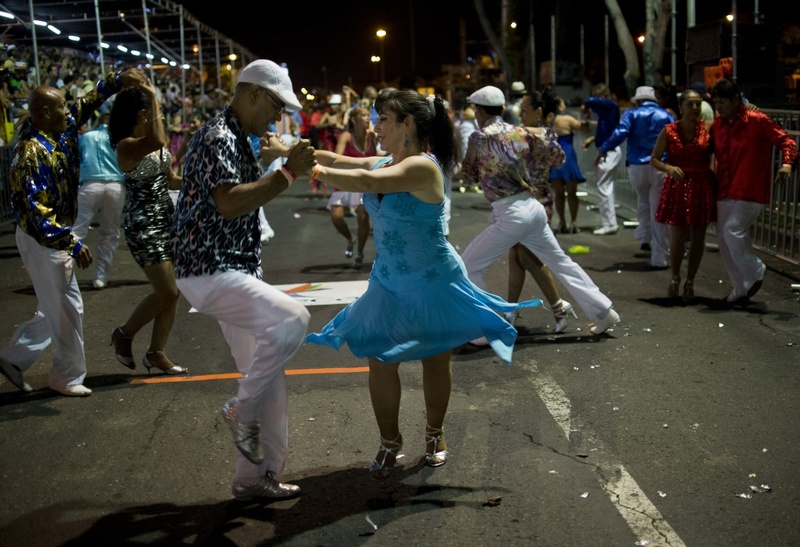 Colombian salsa dancers perform in the "Salsodromo" parade, which marks the start of the 57th Fair of Cali, on December 25, 2014, in Cali, Colombia. WHEN: Friday, May 11; 6 - 9 p.m.
WHERE: LA Plaza De Cultura y Artes — 501 N. Main St., downtown L.A.
Dance to the sounds of salsa and Cuban bands at a monthly concert series that runs through September. The kickoff show features Echo Park Project, created by percussionist Carlo Lopez to play a combo of original tunes and '70s covers. 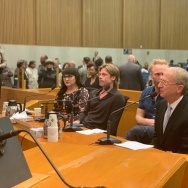 Audience members at the Theatre at Ace Hotel on August 8, 2015 in Los Angeles, California. 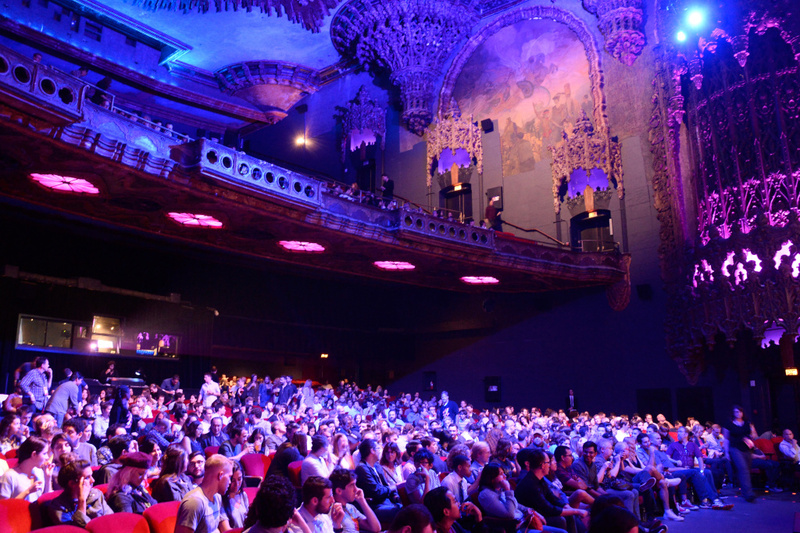 WHEN: Saturday, May 12; 7:30 p.m.
WHERE: Theatre at the Ace Hotel — 929 S. Broadway, downtown L.A. They call it a live magazine — an evening of new, true stories along with photography, film, radio and original music. After the show, stick around for cocktails and conversation with the performers. The organizers don't post any video or audio of the evening online, so you have to be there to experience it. 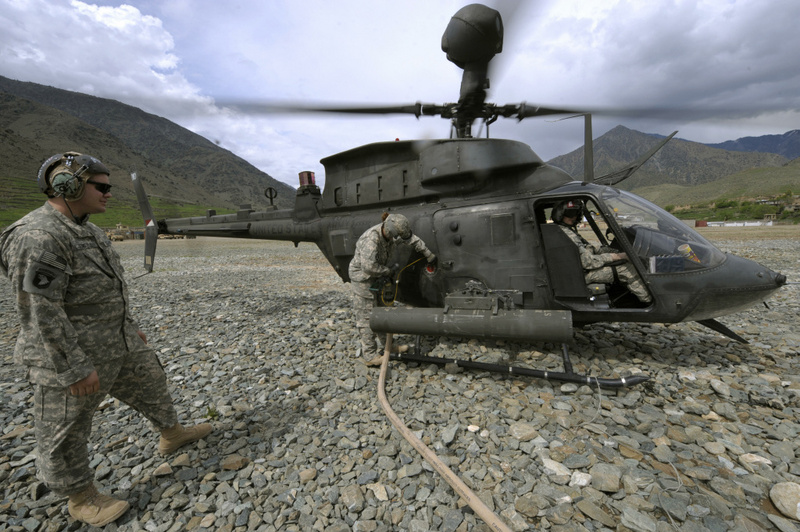 U.S. Army soldiers from the 101st Airborne Division refill a OH-58 Kiowa helicopter at the ISAF's Camp Bostick in Naray, Afghanistan on April 13, 2009. WHEN: Saturday, May 12; 11 a.m. - 3 p.m.
Each month, the oldest continuously operating military airfield on the West Coast gives visitors a chance to get a close look at a different aircraft. Today, it's the OH-58 Kiowa helicopter, which served the U.S. military from the latter stages of the Vietnam War until 2017. With its narrow profile, the Kiowa provided a great platform for observation, utility and fire support. This particular helicopter served in Operation Desert Storm.